The hard-working development team led by W1HKJ have announced the release of Flrig v1.3.40. 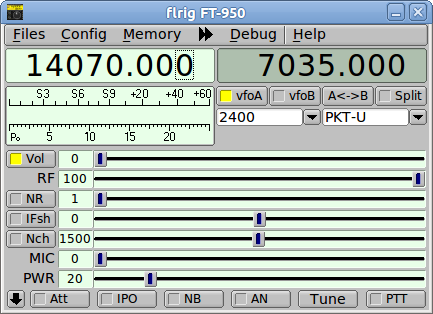 Flrig is a transceiver control program designed to be used either stand alone or as an adjunct to Fldigi. * add missing tt550_enable_keyer boolean to prefs file. default to false. * change "Tune" button label to "Tuner"
- change hint to "Enable Auto Tune"
get set for freq/mode/filter changed to use x25 x26 CAT sequences. copy active to inactive did not change the displayed vfoB frequency. * Modify code to comply with latest pdf CAT reference manual. behavior emulates the Icom series of transceivers.